TUESDAY, Nov. 15, 2016 (HealthDay News) -- A popular category of heartburn medications -- including Nexium, Prevacid, Prilosec and Protonix -- may increase your risk of stroke, a new study suggests. 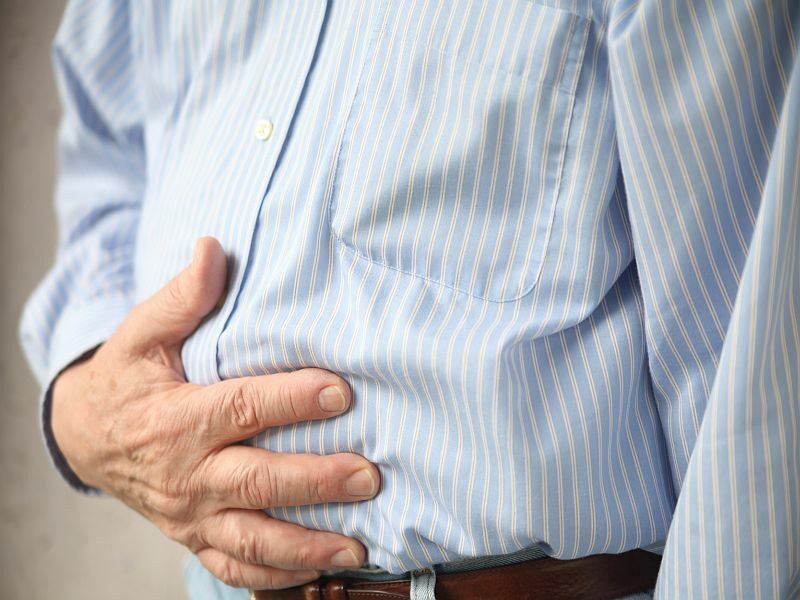 Known as proton pump inhibitors (PPIs), these drugs increased people's overall stroke risk by 21 percent, said study lead author Dr. Thomas Sehested. However, the risk appears to be driven by people who take high doses, added Sehested, research director at the Danish Heart Foundation in Copenhagen. "People treated with a low dose of PPIs did not have a high risk of stroke," he said. "Those treated with the highest doses of PPIs had the highest risk of stroke." The extent of risk also depends on the specific PPI taken. At the highest dose, stroke risk ranged from 30 percent for lansoprazole (Prevacid) to 94 percent for pantoprazole (Protonix), the researchers said. Takeda Pharmaceutical, the maker of prescription-only Protonix, did not respond to a request for comment. PPIs specifically affected risk of the most common type of stroke, ischemic stroke, which occurs when a clot blocks blood flow to the brain. Proton pump inhibitors treat heartburn by blocking acid-producing cells in the lining of the stomach. Prior studies have associated PPI use with heart disease, heart attacks and dementia, Sehested said. However, because of its design, the new study can't establish a direct cause-and-effect relationship between these heartburn drugs and elevated stroke risk. The research only shows an association. For this study, researchers analyzed the records of nearly 245,000 Danish patients, average age 57. All had undergone an endoscopy, a procedure used to identify the causes of stomach pain and indigestion. During about six years of follow-up, nearly 9,500 patients had their first ischemic stroke. Researchers checked to see if the stroke occurred while patients were taking any of these PPIs: omeprazole (Prilosec), esomeprazole (Nexium), Prevacid or Protonix. The researchers also asked about another class of antacids known as H2 blockers, which include Pepcid and Zantac. The research team found increased risk from PPIs, but none from H2 blockers. The relationship held even after researchers adjusted for other risk factors for stroke and heart disease, Sehested said. The results were scheduled for presentation Tuesday at the American Heart Association annual meeting, in New Orleans. The findings should be considered preliminary until peer-reviewed for publication in a medical journal. No one is sure why PPIs may have a harmful effect on heart health, Sehested said. He noted that PPIs might reduce levels of biochemicals that are important for the maintenance of blood vessels. Without those biochemicals, people could experience hardening of the arteries, he theorized. Most PPIs are now available over the counter, and doctors are concerned that people are taking the drugs when they shouldn't, said Dr. Philip Gorelick, medical director of the Mercy Health Hauenstein Neuroscience Center in Grand Rapids, Mich.
"A lot of people continue to take these medicines for prolonged periods of time, or use these medications for indications that are suspect, or not approved by the FDA," Gorelick said. "So one has to be careful about that." Using the drugs for a shorter period or at lower doses may prove to be safer, he added. People who need PPIs and have been prescribed one by a doctor should continue using them, Sehested said. However, people who started using a PPI without a doctor's guidance, or kept using one after the prescribed period, should talk with their physician about whether they should cut the drugs out. "A lot of people are using these drugs without a clear indication, such as a clear diagnosis showing they should use these drugs every day," Sehested said. "They should think about quitting those drugs."